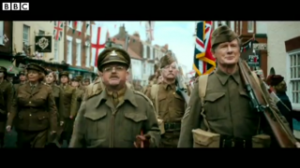 DAD’S ARMY RECENTLY FILMED IN BRIDLINGTON IN CINEMAS NOW. BOOK YOUR NEXT HOLIDAY AT PARKROSE www.parkrosevillage.co.uk/caravans and visit the film setting in the old town !!! !